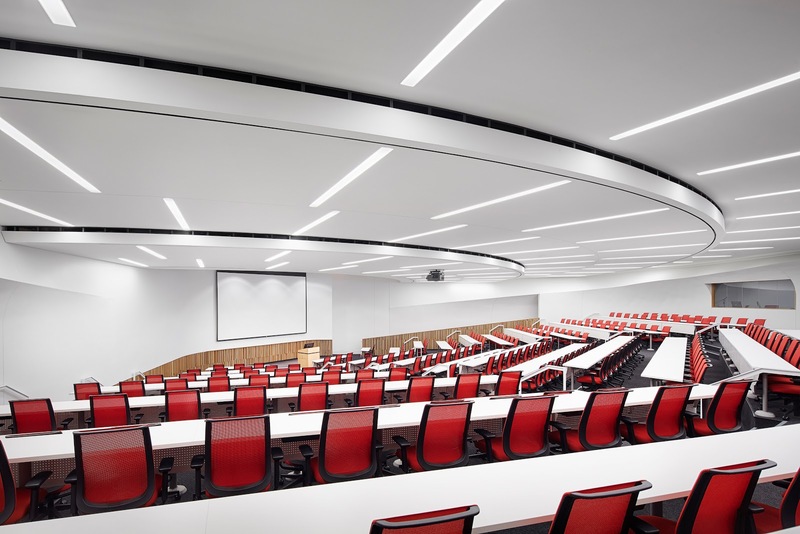 KCU’s newly renovated Academic Center has received LEED Silver certification from the U.S. Green Building Council for its energy-efficient, high-performing design and construction. The University partnered with Kansas City, Mo.-based Helix Architecture + Design on the renovation as part of our five-year Campus Master Plan. Creating an environment that saves money and resources, while promoting renewable, clean energy and a positive impact on health, supports both KCU’s vision to become the most student-focused medical school in the nation and our strategic commitment to sustainability. The new Academic Center was certified, in part, because of the repurposing of 90 percent of the materials from Weaver Auditorium, the previous building on the site. 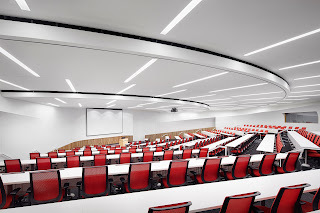 After a year of renovation, the structure was transformed into a cutting-edge academic learning center housing two lecture halls with a combined capacity of more than 700 students.